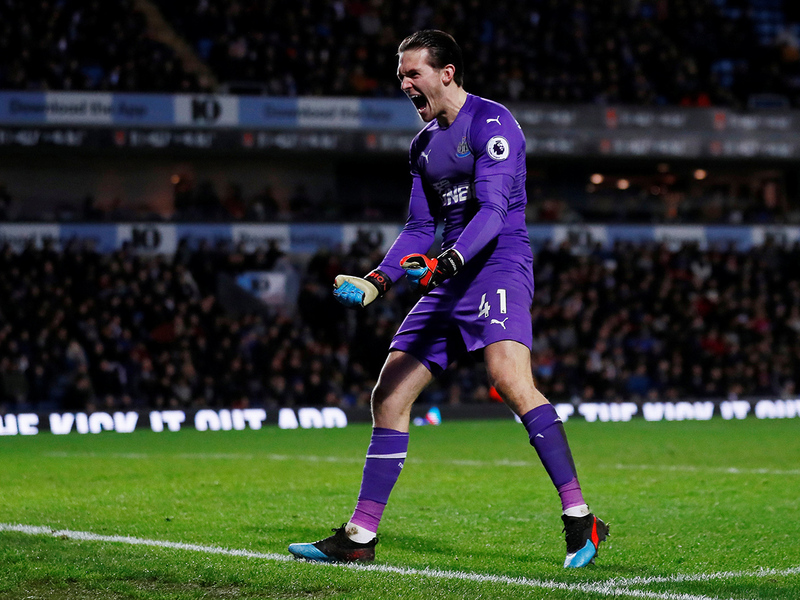 London: Newcastle survived an FA Cup scare at Blackburn as they blew a two-goal lead before hitting back to win 4-2 after extra time in Tuesday’s third-round replay. Rafael Benitez sent out an under-strength line-up featuring eight changes from Newcastle’s 2-1 defeat at Chelsea in the Premier League on Saturday. The stand-ins made a fast start when Sean Longstaff scored his first goal for Newcastle. The 21-year-old found the net inside the first minute with a deflected strike from outside the penalty area. Callum Roberts, handed his first Newcastle appearance since January 2015, doubled their lead in the 22nd minute with his first goal for the club. But Blackburn pulled a goal back 12 minutes before half-time through former Newcastle forward Adam Armstrong. And Republic of Ireland international Darragh Lenihan equalised for Blackburn with a header in first-half stoppage time. It took extra time to settle the tie, with Blackburn’s Bradley Dack missing a golden chance before Joselu pounced to slot home in the 105th minute after Rovers goalkeeper David Raya spilled Fabian Schar’s drive. Ayoze Perez completed Newcastle’s escape act moments later when he cut in from the right and fired home. Yet injuries to defenders Ciaran Clark and Jamaal Lascelles will cast a shadow over the win for Benitez. Newcastle, who haven’t won the FA Cup since 1955, host fellow Premier League club Watford in the fourth round. In the night’s other third-round replays, Sheffield Wednesday booked a trip to holders Chelsea as the second-tier strugglers won 1-0 at League One side Luton. Wednesday are without a permanent manager while they wait for Steve Bruce to take charge on February 1. But the Championship outfit avoided an upset at Kenilworth Road against a Luton team who are chasing promotion after a 13-match unbeaten run. Atdhe Nuhiu won it for Wednesday when the striker’s effort was deflected past James Shea in the 46th minute. Luton came close to levelling with 13 minutes to go when James Collins diverted Sonny Bradley’s header on to a post. Bradley’s header was then nodded off the line by Nuhiu in the closing moments. Luton’s previous manager Nathan Jones recently left to take charge at Stoke, but his first home game in charge of the Championship side was ruined by third-tier Shrewsbury’s remarkable 3-2 win. Jones’ team appeared to be cruising after a first-half double from teenager Tyrese Campbell, the son of former Arsenal and Everton striker Kevin Campbell. However, James Bolton netted 19 minutes left before Fejiri Okenabirhie equalised from the penalty spot in the 77th minute. Josh Laurent capped the stunning fightback when he struck in the 81st minute to earn a fourth-round home tie against Premier League side Wolves.